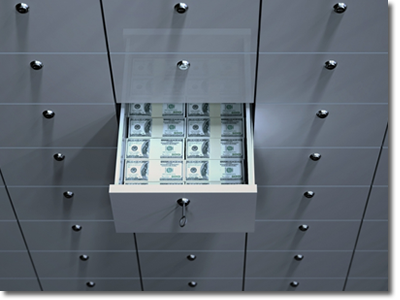 A safety deposit box may be opened by its owner or the owner’s authorized agent. An owner’s authorized agent includes his or her Personal Representative, Attorney-in-Fact, Special Representative, or the Trustee of his or her Living Trust. A problem arises when the decedent had a safety deposit box; you need to access it; and you are not among the authorized agents listed above. In King County, the Court may authorize that the safety box be opened and any estate documents in it be delivered to the named Personal Representative or filed with the Court. The bank is entitled to receive from the person receiving the Will, (at his or her expense) a receipt for, a copy of the will and the bank’s expenses arising from the delivery of the will, including fees and mileage. Every county is different and a check of the superior court rules for each county in which there is a safety deposit box should it be reviewed. In the worst case scenario, a special administrator may need to be appointed in order to open the safety box and obtain any estate documents in it. A probate lawyer from PS Probates can assist with these legal services. As for all other contents of the safety box, their collection and disposition must await the appointment of a Personal Representative.